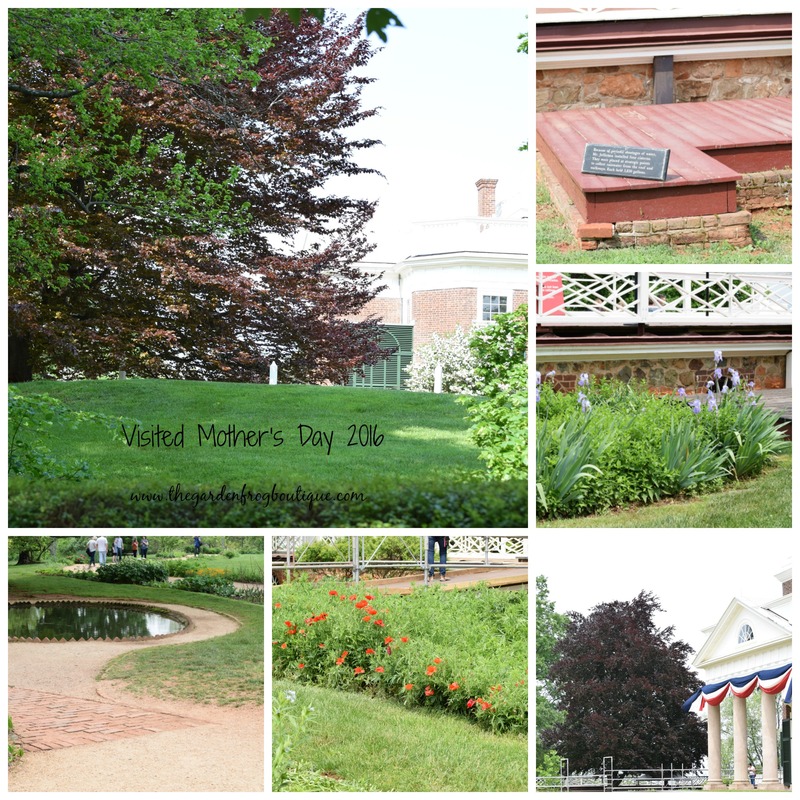 My visit to Thomas Jefferson’s Monticello in Charlottesville Virginia was Mother’s Day 2016. I cannot believe it took me 13 years to visit since I only live an hour and half away. 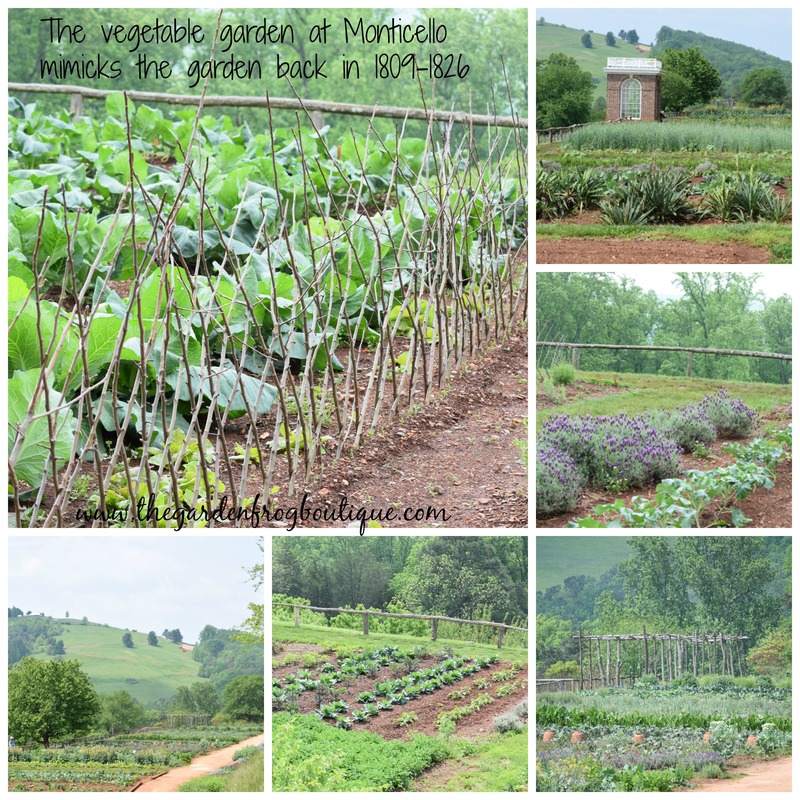 The history of Thomas Jefferson’s life and legacy lives on today in the home and gardens of Monticello. The downstairs tour of the home offers you 45 minutes of history delving in to the hunger Thomas Jefferson had for learning and his ingenious mind for inventing. Monticello is a grand home from the outside and during your tour you will hear and see the preservation of Jefferson’s life from his retirement in 1809 until his death on July 4, 1826 wherein Jefferson’s entire estate including all land and possessions had to be sold to pay off his hefty debt. 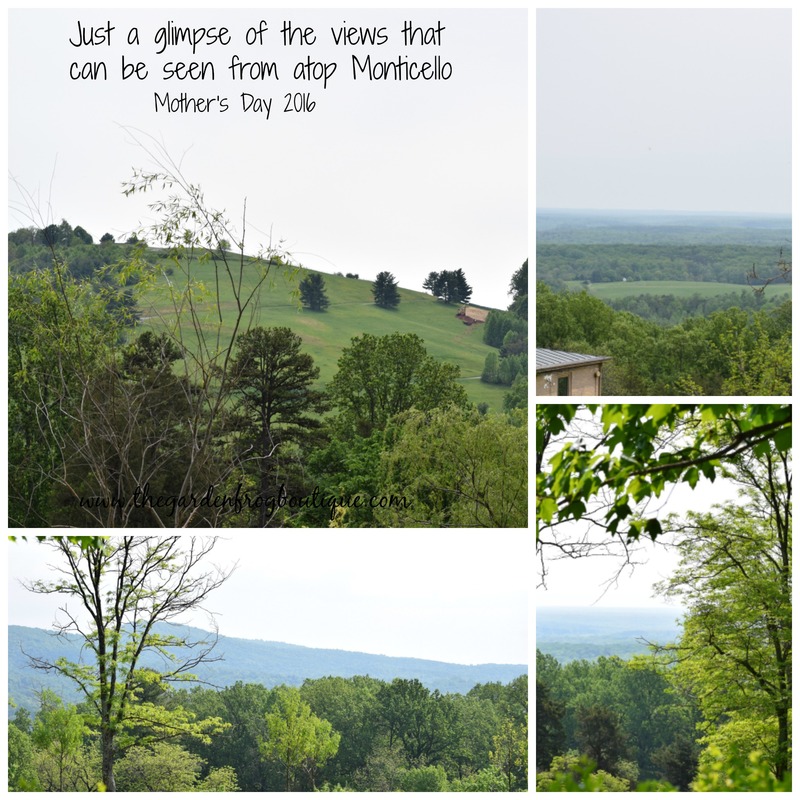 There are 3 tours on the Mountaintop at Monticello where the home overlooks the grounds, valley, and a spectacular view of the large mountain, Montalto, which Jefferson named and purchased in 1777. The slave tour of Mulberry Row is 45 minutes of history and controversy of Jefferson’s ownership and treatment of slaves. 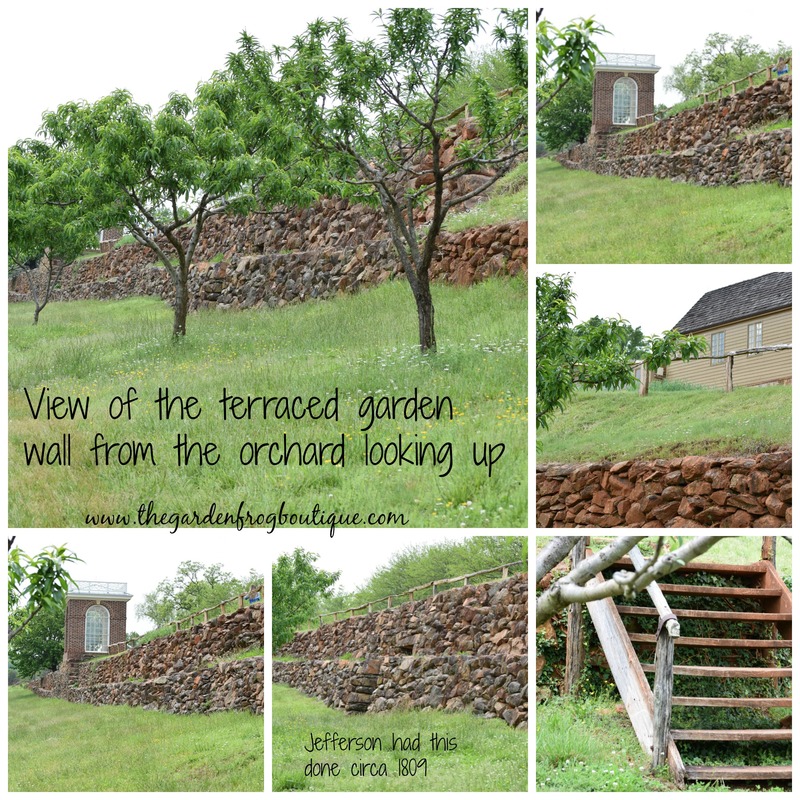 The 50 minute vegetable garden tour was fascinating and the science behind the terraced garden rock wall, the placement of the garden, and even the plants will have you wondering why 200 years later we have not been using these methods to grow our own food and flora. Thomas Jefferson tried to grow grapes and the vineyard stands today amongst the orchard of fruit trees. It is hard to imagine that way back when growing fruit was a new idea and Thomas Jefferson wanted to show his fellow farmers, friends, and family that fruit was not only for wine but for dessert! The work the foundation does to preserve and show us what contributions Jefferson gave us – the good along with the bad- is amazing. Jefferson kept meticulous garden records about his successes and failures of his gardens. 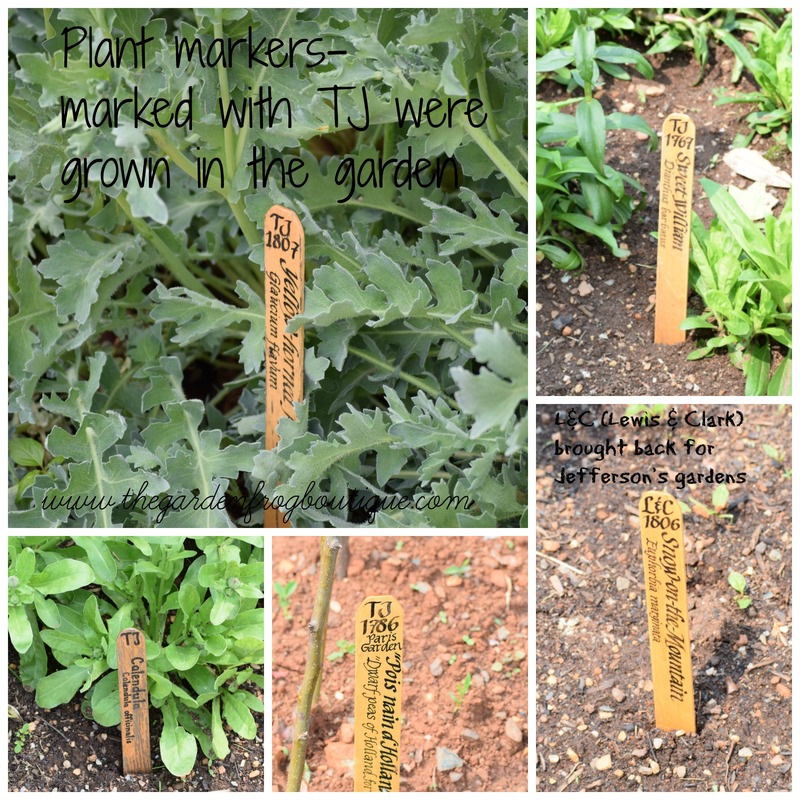 The vegetable garden is tagged with these wooden markers giving us insight to which plants Jefferson grew or might have grown in 1809. I was awestruck. 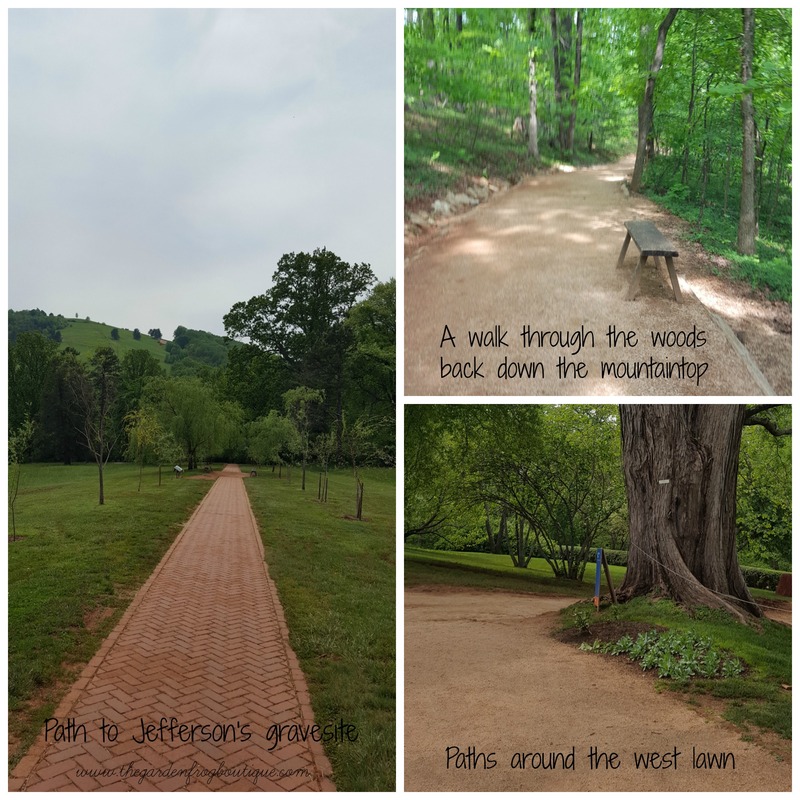 The grounds at Monticello were not what I expected. I was not really sure what to expect from a plantation that has been in existence for over 240 years. 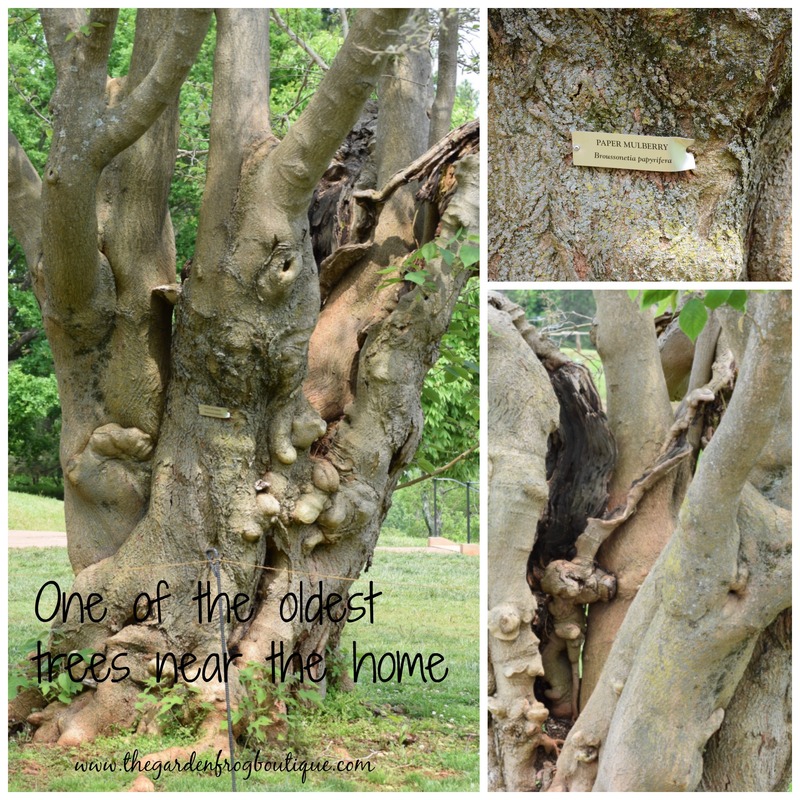 The original trees that Thomas Jefferson planted are no longer standing, however, the trees that stand today are offspring of the mighty Populars, Catalpas, and Oaks that Jefferson planted over 220 years ago. It is mind boggling to think some of these plants were given to Jefferson by Lewis & Clark or brought back from China on a ship to be planted. As you wander around taking in the beauty of the mountaintop, you will hear the beautiful music of the Mockingbird and see the dash of blue as the Bluebirds fly in and around the orchard and grove. 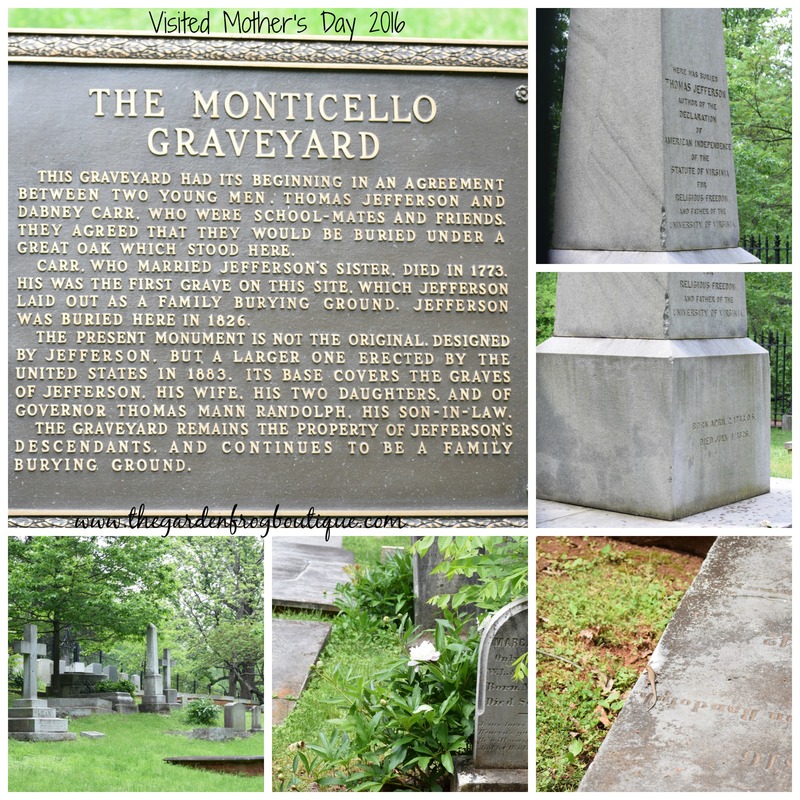 Down a brick path, the gravesite of Thomas Jefferson sits. 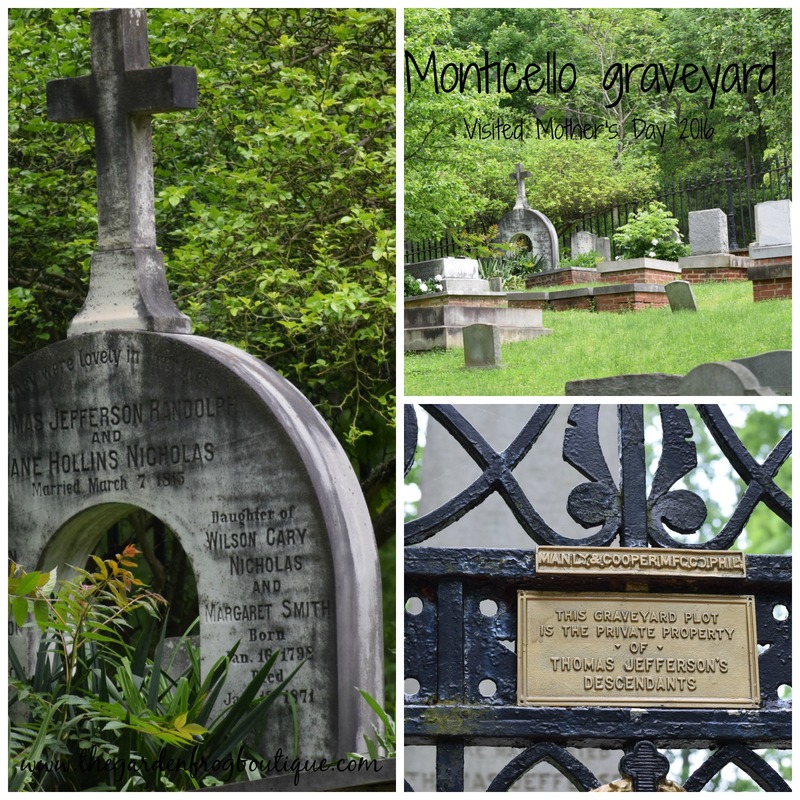 The cemetery has history and the descendants of Thomas Jefferson can be buried there today. From the gravesite you can walk a gravel path which is less than 1/2 a mile down to the visitor center, cafe, and museum shop. The walk is peaceful and a great time for you and your family to talk about what life was way back when. 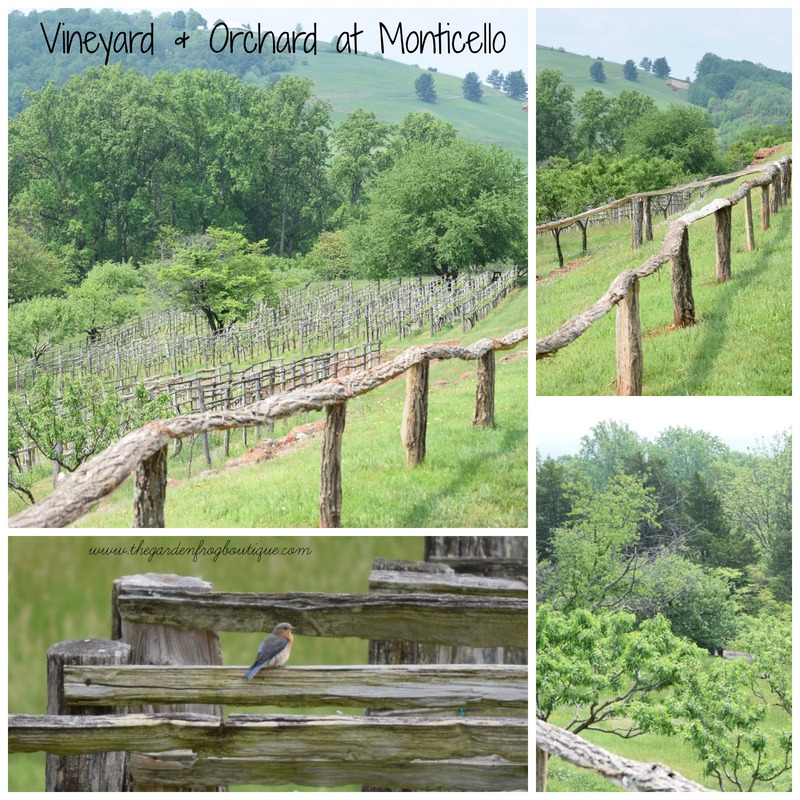 Charlottesville is a beautiful city on Interstate 64 in Virginia and the beauty of the countryside is well worth the drive. We were told that if you love tulips, then you need to visit during April when the tulips and cherry blossoms bloom. 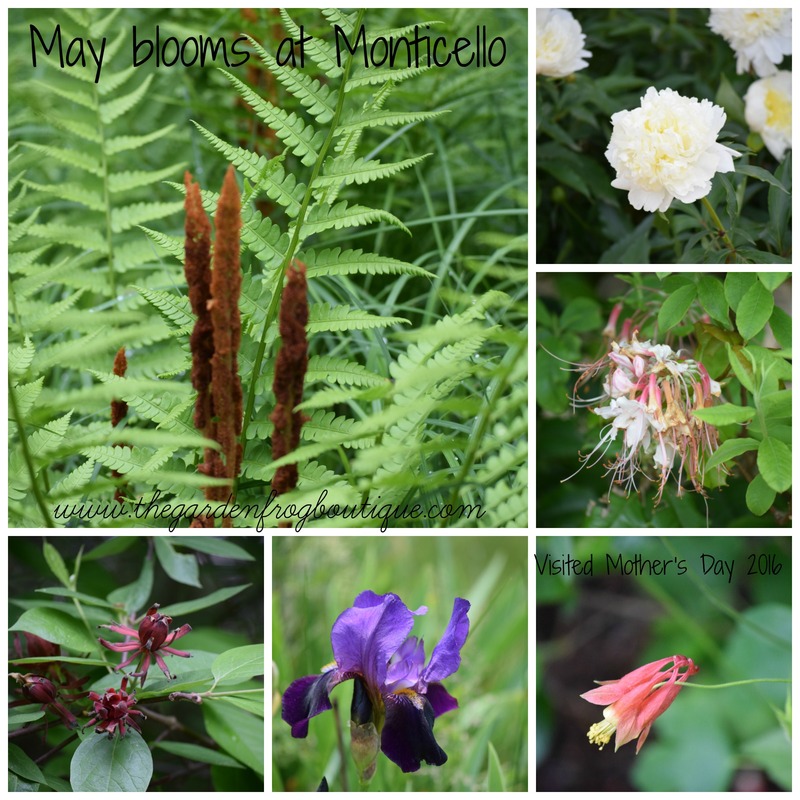 We visited Mother’s Day and most of the trees were leafed out and the Snowball bushes on each side of the entrance of Monticello were in full bloom. I discovered to my delight that Iris grew and were blooming in several of the flower beds (remember I love Iris). The grounds are beautiful and I believe anytime April through November would be great. However, I believe Fall would be a gorgeous time- to see the leaves change from many shades of green to the beautiful hues of yellow, red, and orange. 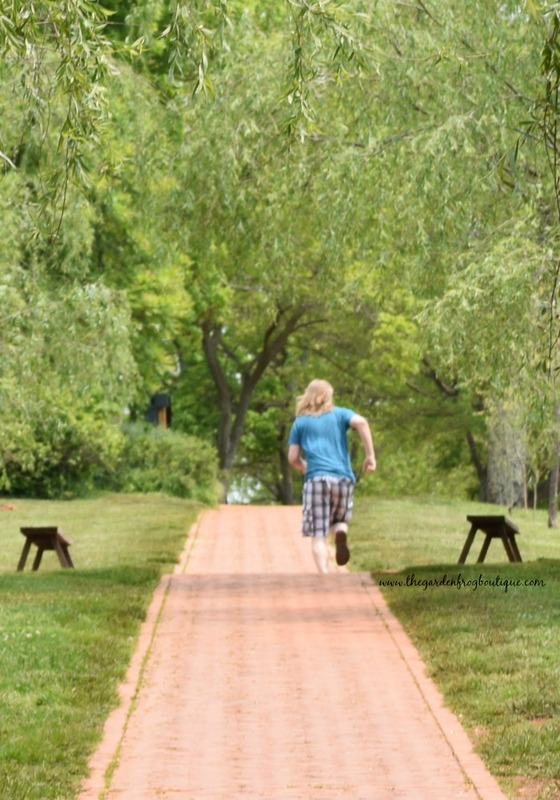 My teenage son enjoyed the visit since everything at Monticello has a story. I would not recommend to small children because this is a history lesson and there is absolutely NO touching during the house tour and the garden tours are 45+ minutes long. This is definitely a trip for middle school and high school students and anyone who has a thirst for history and a fascination and love for plants. Thank you for stopping by and I hope that you get the opportunity to visit this historical and beautiful place. I hope to go again this fall to see the colors of fall from the view of the west lawn of Monticello. I’ve been here 23 years and STILL haven’t made the trek. Fall and bucket list go together!